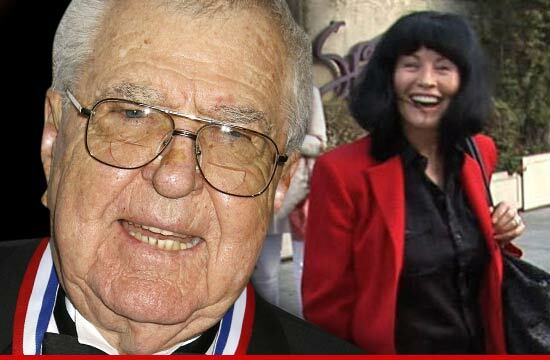 The children and estranged wife of legendary sports car designer Carroll Shelby -- the guy who designed the epic Mustang and Cobra -- are locked in an epic battle to determine who gets his body -- which has still not been buried a month after his death ... TMZ has learned. Here's the problem -- Carroll and Cleo Shelby were legally married when he died in Dallas May 10. But here's the deal ... they'd been estranged since he filed for divorce in 2010. Cleo is claiming since she was still married to Carroll, she has the right to control Shelby's body. But Shelby's kids have a document they say is signed by their dad giving his oldest son the right to his remains. Now Cleo claims the signature on the document is forged, adding he didn't have the "physical capacity or eyesight" necessary to read or sign the doc. And there's a twist -- while his divorce petition was pending, Shelby filed a petition just last April seeking to have the marriage annulled. In the annulment docs, Shelby accused Cleo of lying to him for the 14 years they were married -- lying about her real name, her assets and pretty much her entire past. So for now it's a standoff and the body sits in the freezer at the medical examiner's office. But one thing could turn the tide. A judge is actually allowed to grant the annulment even though Shelby is dead. If that happens, the kids win.